Hey guys this is Jimbercane posting. First off all, I would like to remind you that the band Parachute will be performing in Planet Cazmo today starting at 7pm at night; They will end at 12 midnight. They will play once every hour. Make sure you come and see them perform, because then you will get a free Planet Cazmo Parachute Concert Ticket added to your CazBook! Those of you who are members, go to the Cazmo Rena right now to get your free Parachute VIP Backstage Pass. If you don’t know how to get it, then here is a short guide: First click on the Map Icon on your Chatbar. Then click on the location on your Map called ‘CazRox Cafe’. Select a CazRox Cafe on the upper section. Next, go to the location in the CazRox Cafe called VIP Area. (This is somewhere in the top left hand corner of the room.) After going in, go and speak to the leader of the Parachute Band. (I think.) Then select the option called ‘Can I Have Your Autograph?’ After you do this, you will officially get the Pass added to your CazBook. To view your pass, first click on your Cazmo. 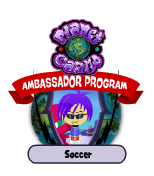 After doing so, click on the button on his/her Playercard, called ‘My CazBook’. Doing this, will officially open your CazBook. 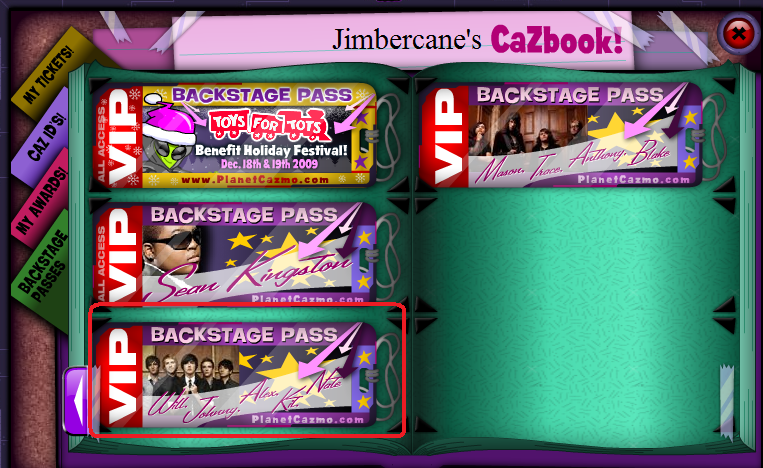 Now just click on the Backstage Passes Section on the left, and if you don’t find your Pass in the first 2 pages, then just click on the arrow pointing right at the bottom on the right hand corner. If you had to click on the arrow, then your Pass should be visible on one of the next 2 pages. There is also something you guys need to know: These days I will not be able to post on Planet Cazmo on the weekdays due to the heavy amount of work that I have in my agenda in real life. Sometimes if I find an update using my phone, (I just research about it on the net.) I post it on my Twitter account. Therefore it is very necessary that you follow me on Twitter if you are my fan, well wisher, supporter, or just a regular viewer. Subscribe to me on YouTube.